HOUSTON – Daikin Industries the world’s largest manufacturer of heating, cooling and refrigerant products, is nearing completion on a massive, 4 million square-foot, $417 million manufacturing and logistics campus on the northwest side of Houston that will employ at least 4,000 people. The building is the largest tilt-wall construction project in the world. Daikin, which owns Goodman Global, will build the campus off of U.S. 290, three miles west of the Grand Parkway, also known as Texas State Highway 99. The new Houston campus, with an announced completion date of mid-2016 will relocate the company’s operations from other parts of Houston and from Tennessee. But the facility will have 5,000 parking space and the employment could eventually grow to 5,000, a company official said. Osaka, Japan-based Daikin acquired Houston’s Goodman Global in 2012 for $3.7 billion. Goodman has a 525,000-square-foot air conditioner factory near the intersection of Loop 610 and U.S. 290. That building will be closed when the new project is completed. 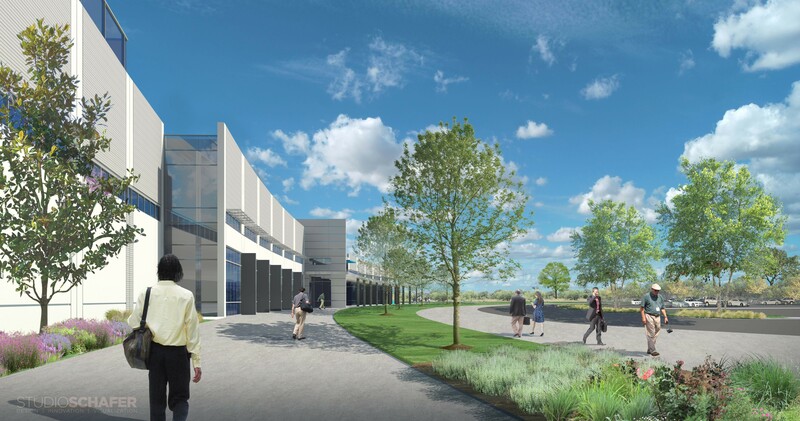 The new northwest Houston facility, when finished, will include “one of the largest and most technologically advanced HVAC (Heating, Ventilating, and Air Conditioning) manufacturing facilities in the country,” Daikin said in a press release. “Houston is well known as the energy capital of the United States. Soon it will be recognized as the energy-savings capital with regard to the production of high-efficiency heating and cooling systems for residential, commercial and industrial applications,” Daikin said. “Our selection of Houston as the location for our new campus was a result of careful analysis and business considerations. We know that Houston is one of the best cities in the United States for this type of expansion program. It offers an outstanding combination that includes the ability to provide an educated workforce, economic growth, and a favorable year-long climate necessary for manufacturing and operational excellence,” said Takeshi Ebisu, President and CEO of Goodman Manufacturing Co. The facility will manufacture both ducted and ductless HVAC products, which is a first for Daikin. Ducted heating and cooling systems are considered the standard in the United States. Ductless systems are installed extensively around the world. Ductless systems have gained rapid acceptance in the North American marketplace and have become one of the fastest growing HVAC market segments. Texas and Tennessee operations that will be relocated to the new business campus include engineering, logistics, procurement, manufacturing, and marketing. Manufacturing operations at this new campus will consist of residential and commercial heating and cooling systems marketed primarily under the Daikin, Goodman and Amana brand names.